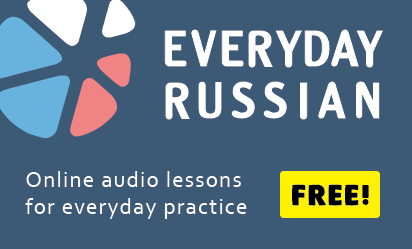 Conversational Russian words and phrases explained in different episodes of Very Much Russian podcast. This is the Russian language that you might hear in the streets, cafes, among your friends or coworkers. Be careful using these expressions because in formal situations they might make you sound stupid or unedicated. At the same time none of them is rude (for that there is a separate category “Russian swear words“), so they are quite safe to use in informal situations. Often it is used in a contraposition, where after “куда ни шло” goes “но” (but). (lit. – by which makar?) how? why? why on Earth? why suddenly? Related podcast episode: Харэ зырить и лыбиться! Expresses surprise (~ you are kidding me!, ~ really?) or discontent (~ get lost!, ~ shut up!). Related podcast episode: да иди ты!